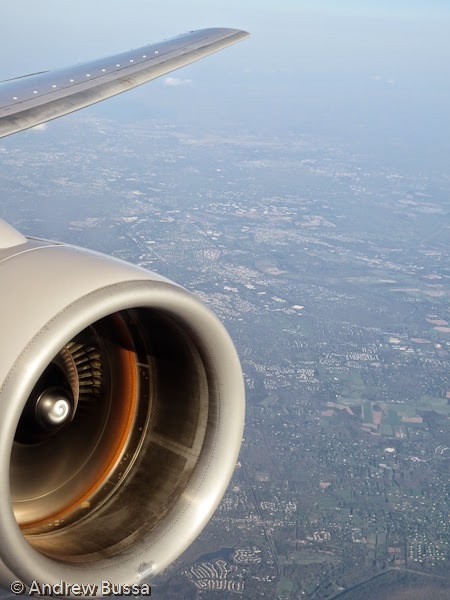 Bud Light ran a few CRJ-200's and an Atlas Air 767 from Denver to Crested Butte (Gunnison) as part of their Up For Whatever promotion where they took over a town for a giant party. 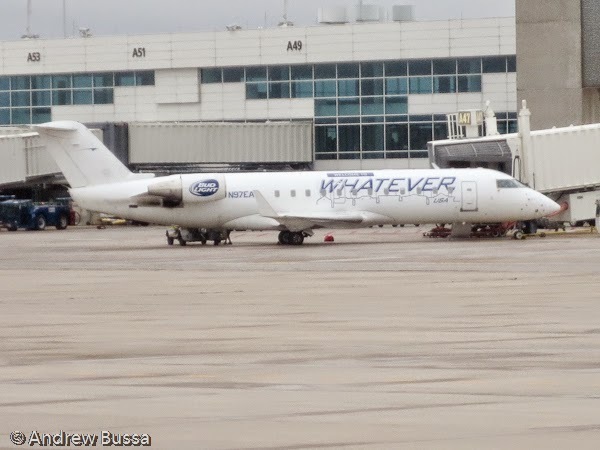 I spotted the jets parked at the A terminal in Denver. 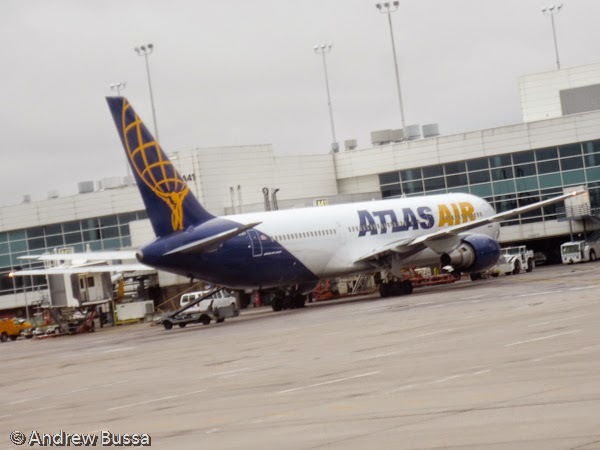 The CRJ's had the full Whatever Bud Light Branding and the Atlas Air 767 just looked out of place (I've only seen their cargo planes). 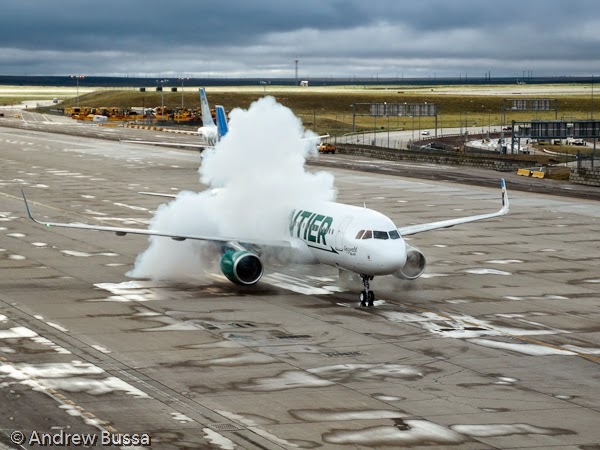 On cold days, jet engines have smokey start ups when first turned over in the morning. 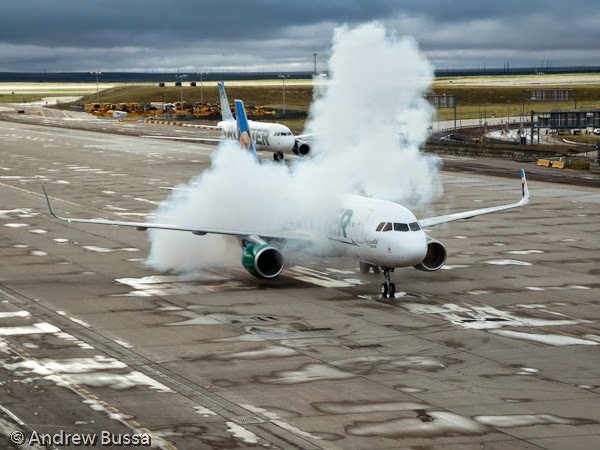 It looks troubling until a pilot explains the behavior as normal and nothing to worry about. It makes an interesting show though. 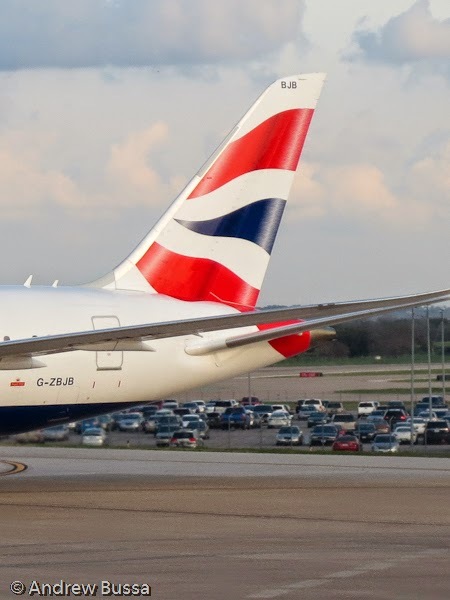 If Scotland votes for independence, will British Airways need to repaint their fleet? 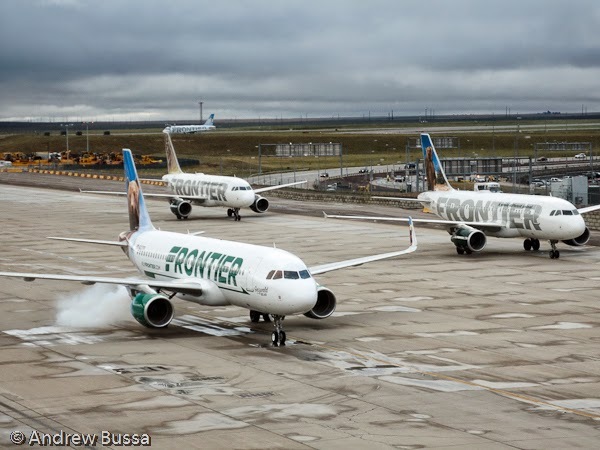 Last week Frontier and Southwest decided to re-brand, though I'm not sure why. 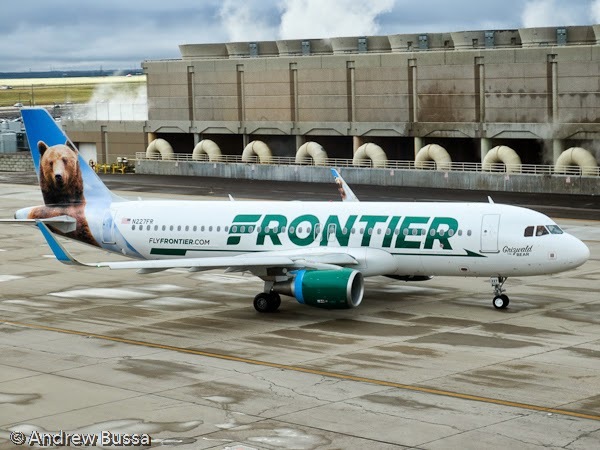 Anyway, I spotter the new Frontier design when going through Denver this week. It looks good, but the old design looked good too. My laptop wouldn't start because of a fan error. It's fixed now and posting will resume shortly.